I have some very sad news to share. Yesterday, MaPaw lost another beloved member of our family. Maxie had been found abandoned in a foreclosed and empty home. Our best guess is that her family moved in a hurry and rather than make arrangements for Maxie, they left her behind to fend for herself. Luckily someone found her and she made her way to MaPaw at the age of 14 years. During her initial veterinary exam, it was discovered that Maxie had a tumor on her liver. 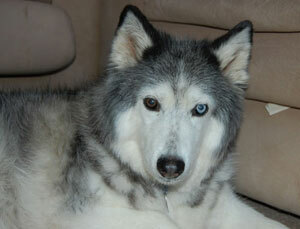 The doctor felt that it was most likely cancerous and we chose to make Maxie a permanent resident of MaPaw. Soon after, Maxie moved to her foster home that she called home for the last 2 years. Recently, Maxie had begun to slow down and her foster Mum did all she could to make sure that Maxie was comfortable. Yesterday, it became clear that Maxie was tired. Surrounded by love and showered with tears, Maxie passed peacefully. Dearest Maxie ~ you are now free of pain. Dance among the stars and know that you will be missed. You have touched many hearts and we are all so very sad that you are gone. Candles are lit and many are waiting to welcome you.